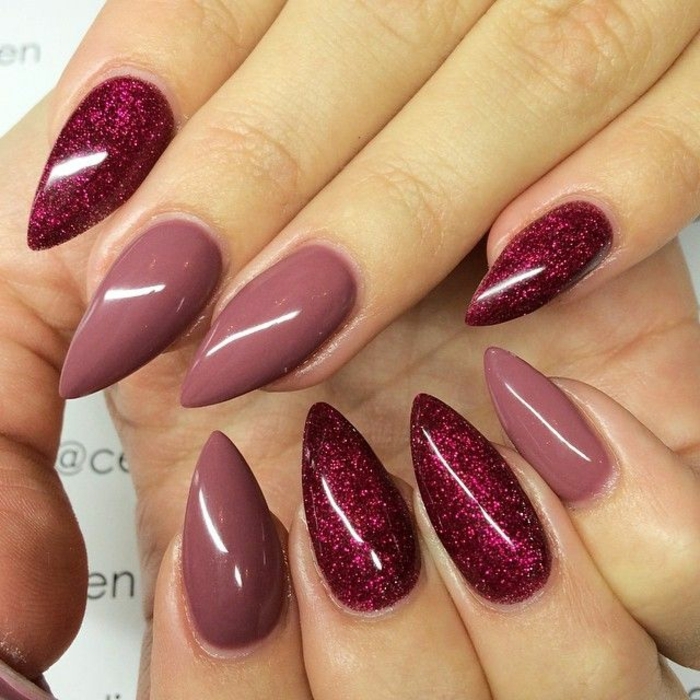 Stiletto nails are a pointy, dramatic look that instantly transforms human hands into glamorous unicorn claws, and the wearer into the ultimate diva. 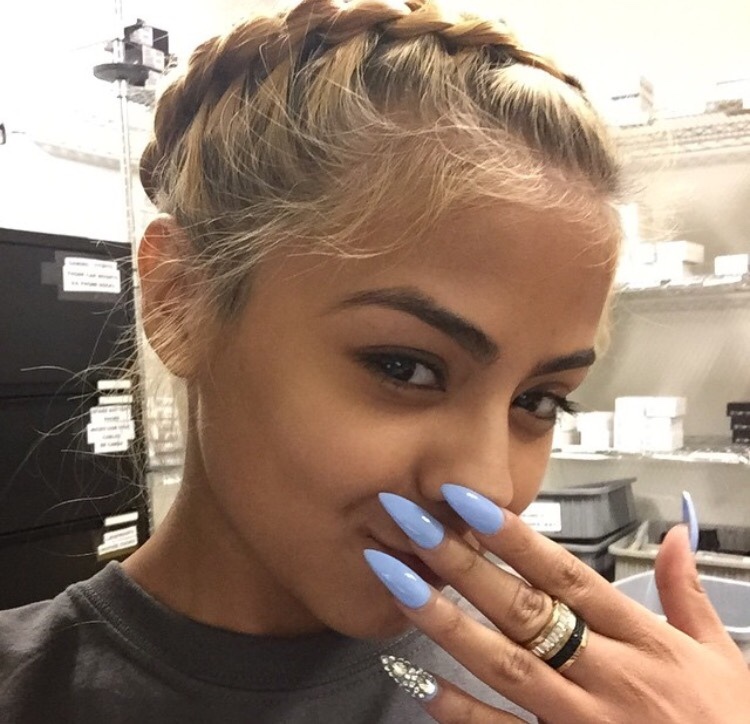 And we found some stiletto nail art designs that will make them impossible not to try. The Kardashians made them hot, but there’s a whole other world of chic fall and winter possibilities that are waiting for you. Discover the most alluring claws here. This is a unique take on a crimson manicure for fall. Pain a couple of nails a sparkly crimson and the others a dark rose taupe, like this chick has done. It’s really striking on the pointy style of stiletto nails and the color contrast is so femme fatale. Loving the unique color of this look – the periwinkle is a great seasonal transition shade, but is usually a color we see in matte. The non-matte take on it adds a more feminine lavender tint, and less of a neutral. The surprise of that diamond/crystal pinky is so necessary and adds surprise while still staying elegant.